Picture day is a special day, it's the day we get our children documented for posterity. We curl their hair, we buy them new clothes, we press their shirts and we mascara their eyes. So we can document each year. I was supposed to go out of town on Monday, but picture day was Tuesday, so I changed my flight. (As it turned out, I came down with a secondary infection to my bronchitis and a kidney infection, so I couldn't travel after all). I loved getting the girls ready for pictures. Ivy was so excited, and promised me she smiled pretty. 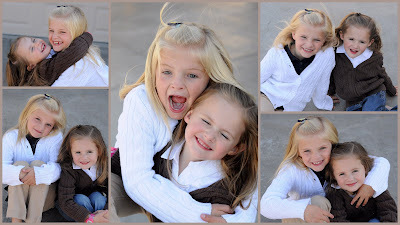 If the professional pictures don't turn out, I'm pretty excited about the ones I got of both girls. 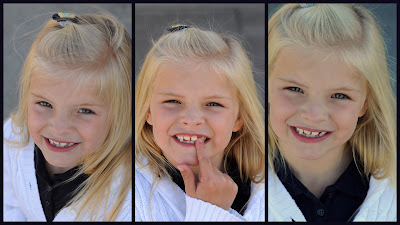 Jade had a very loose tooth, but I made her promise me she would quit wiggling it until after pictures. 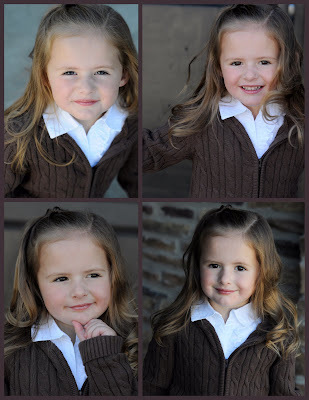 She stuck to her promise and did a lot of wiggling after her pictures were taken at school. Unfortunately I hadn't gotten any of her that morning, so I missed getting her smile full of teeth. I was waiting for Jade to get home from school, so that I could take a few pictures of her and Ivy before Jade rushed off to gymnastics. It was starting to get late and Kim called to tell us the bad news. Jade had been wiggling her tooth while she was waiting for the carpool. She wiggled it so much, it fell right out. While she was holding it in her hand to display for the boys, she dropped it. Crushed, they looked and looked and looked- but didn't find it. Jade was upset about it, but not because the tooth fairy wouldn't be able to give her money, she was upset because I always take a picture of her and her tooth. Kim gave her a little treasure chest to put under her pillow in place of her tooth. We'll need to write a note to the tooth fairy explaining what happened and then put it with the chest. Well, this time we didn't get to fun pictures of her and her tooth, but she'll always have a story to tell of how she lost her 7th tooth. (Crazy, that she'll be able to read back in this journal to know how she has lost all of her teeth. I don't even remember how I lost my first- let alone my 7th.) So, below you will see the picture of her pointing to her hole, and that's likely the best we'll get for that tooth picture. It's crazy to see how much difference a year makes. They both look beautiful and VERY grown up! I love the bottom right one of Ivy. It's just beautiful. Jade should be happy that her baby sister didn't EAT her tooth. That's what Caroline did to one of Madeleine's. EWWW! You have got some beautiful little girls!